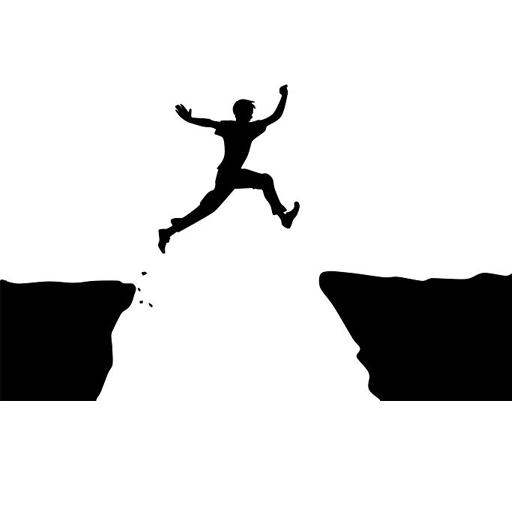 eGrove’s eCommerce solutions are diverse and ultimately aims to bridge all the gaps between the buyers and businesses. Apart from eCommerce web development eGrove has built an online marketplace under the brand name Module Bazaar. 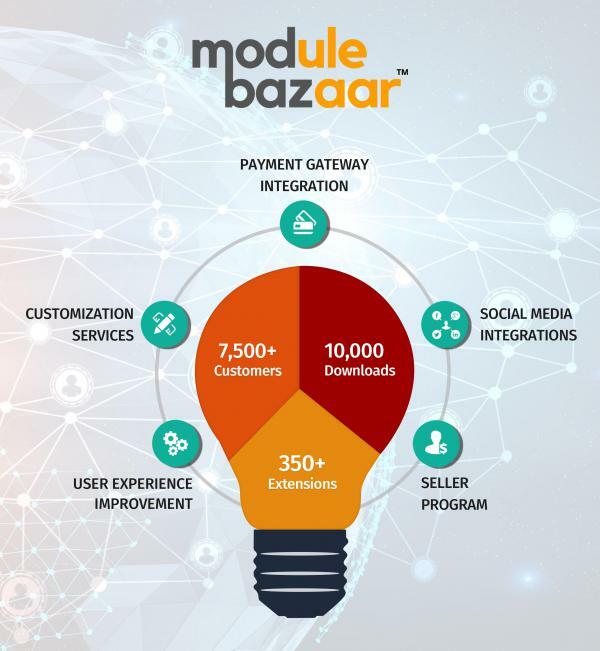 Module Bazaar was sculpted with the goal of inspiring young and enthusiastic eCommerce aspirants. eGrove Systems has stacked its eCommerce offerings on the best available eCommerce business models. 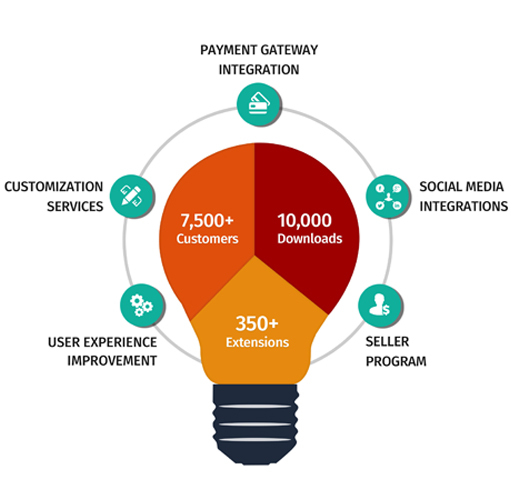 These offerings give you end-to-end capabilities that work with multi-channels, inventory, warehousing, transaction processing, back-office support, customer engagement and merchandising. Our custom eCommerce web solutions cover all your specific requirements and support for a constant growth. 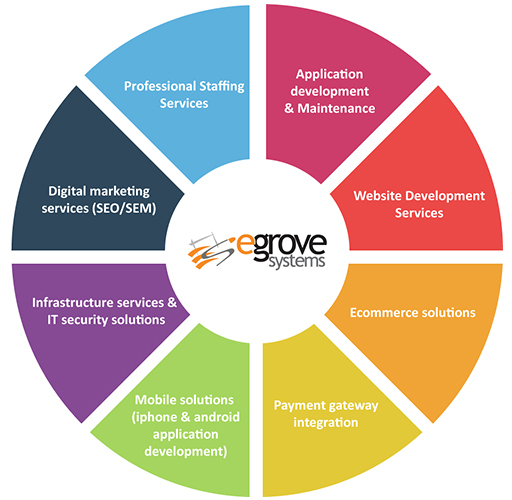 eGrove delivers a broad collection of mobile app development and mCommerce solutions. 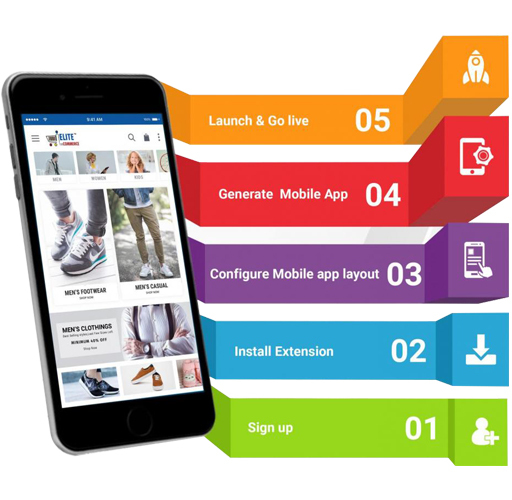 eGrove cultivated Elite mCommerce as a brand that is synonymous to “next gen mobile commerce solution”. 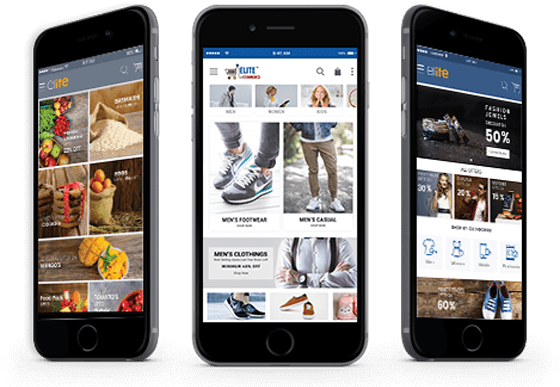 Elite mCommerce capitalizes the latest innovations in the mCommerce business processes that assist clients to have a competitive edge in their respective business niche. eGrove additionally added the IOT and mobility capabilities and delivered some fascinating projects adding new feathers to its cap. As proven digital marketing experts over the years eGrove built the SEO tool and digital marketing related services to help clients transform their businesses into a truly digital driven enterprise and empower them to capitalize the digital revolution to innovate, differentiate and grow beyond boundaries. 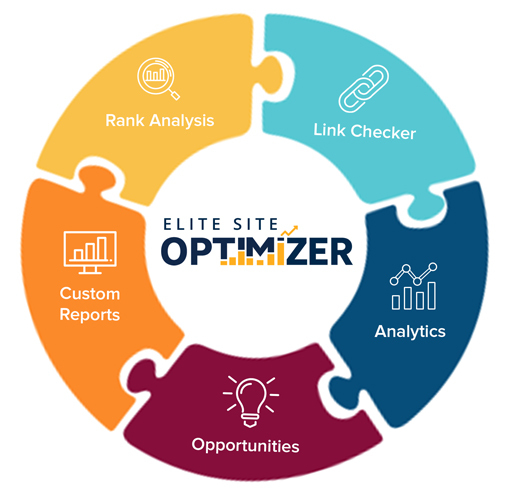 Elite Site Optimizer’s website optimization tool pioneered the advent of Business Intelligence and data visualization in the search engine optimization. This website optimization tool helps the website owners identify the right metrics to streamline their SEO. The primary digital marketing services that eGrove offers are: Performance based SEO services, Mobile search engine optimization, App store optimization and custom crawler development. Apart from the above primary business divisions eGrove bestow focused attention on extending enterprise IT services in the areas of application development, BI and data visualization services and end-to-end IT consulting. eGrove involves multitude of technology expertise such as, Python development, angularjs development and facilitate as a strategic partner. The state-of-the-art technology applied by eGrove Systems in its application development help clients achieve enhanced customer responsiveness, optimized productivity and efficiency in their business processes. eGrove’s BI services and data visualization services involve, techniques to help the data interpreter to get an overview of massive information across multiple divisions in a formatted manner. 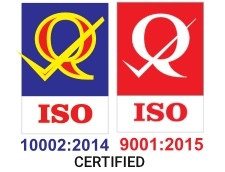 These are predictable, comprehensive and can be easily monitored. The visualization techniques include infographics, charts, gauges, pie charts, heat maps, bar charts and other forms of data interpretation in an exhaustive manner.